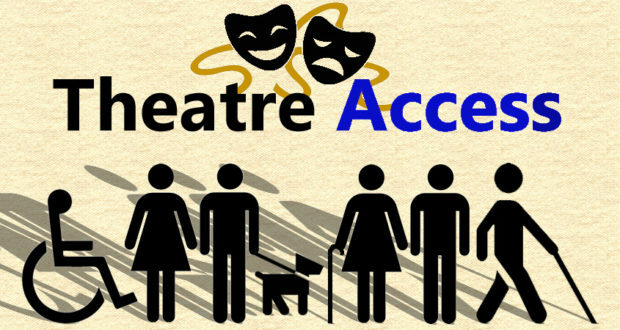 In Part One of our Access Articles Sidonie explained what Theatre Access Schemes are, in Part Two she explained what a visit to the theatre is like to as an Access Customer. Now in the third and final part, Sidonie uses her experience both as a customer and from working in theatre to examine how Access Customers can work with venues staff to ensure they are best served. As I’ve previously discussed, it can be difficult to book tickets as an Access Customer, but it is also equally difficult to assist an Access Customer if they don’t let the booking agent know their needs in the first place. Having worked as a Box Office Assistant for many years, it’s surprising how many people don’t realise that Access needs really should be one of the first thing a booking agent needs to know. In some ways telling the agent that someone in the party has Access requirements is even more important than the date or time of the performance you wish to attend. I have often reached the end of the booking process when someone casually mentions that someone in their party cannot manage steps or is a wheelchair user. I really cannot stress just how important it is to tell the booking agent about any Access needs you or members of your party have at the start of your call – this ensures you will get the best experience possible, both whilst booking and then when you attend the performance. It’s equally important that the Access Customer listens carefully to the advice given about the suitability of seats offered. I’ve had customers tell me they can’t manage stairs, but then insist on seats that involved climbing over 20 of them. Whilst an agent can advise them that they’ll have extreme difficulty reaching those seats, they can’t refuse to sell them – the most an agent can do is note the potential issue on their booking record so that others are aware of it. I’ve also seen wheelchair users arrive for a performance to find that their friends have booked tickets without mentioning the need for wheelchair accessible seating – a lot of people assume that everything is accessible or if not, that it will be sorted upon arrive. Situations like this put unnecessaery extra pressure on the venue staff, particularly during a sold-out performance, and can cause unnecessary stress to the Access Customer. Remember, the agent taking the booking will always know the venue well and so can advise what would best accommodate your needs – please listen and trust them. So that’s the booking side of things, but what about when you actually arrive at the venue for the show? Firstly, please mention immediately if you will need additional help getting to your seat. Front of house staff are more than happy to provide assistance if it’s needed, but they cannot do so without you asking them. While some disabilities are obvious, and so help can be offered without a customer needing to ask, as I talked about in Part One, some disabilities just aren’t so visible. So, if you need access to a lift, or even just an arm to help you get down some steps please say so and help will always be provided. But even more helpful is if you know you’ll need a little extra help, let the booking agent know when you book. Or if you forget at the time, contact the venue a week before to let them know what extra help is needed so someone from the Front of House team is available to assist when you arrive. 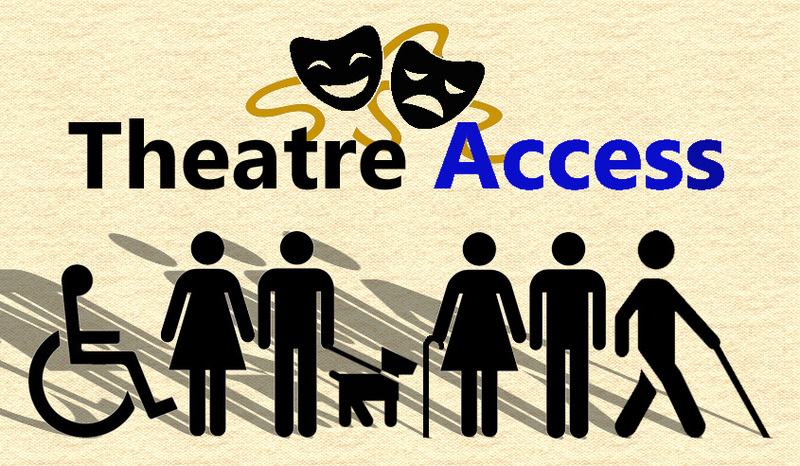 Theatres nowadays are working hard to provide the best possible service to Access Customers, but it is a two way thing and for the services to grow Access Customers need to get involved too. It is of upmost importance that if you have feedback – positive or negative – you give it, it’s the only way venues will be able to adapt and update their programmes to make theatre even more accessible. A recent experience of Barnum at the Menier Chocolate Factory led me to a conversation with staff at the interval about how difficult customers on the Autism Spectrum would find the concession seats they had allocated for that production. These seats were in the front row (for step free access) but were also situated in places where the company would approach the audience, interacting verbally and physically with them. For someone on the Autism Spectrum being in a situation such as this can be very stressful and was something that I found difficult to manage. While I’m quite high functioning and can control my reaction, I understand how overwhelming it could be for someone who’s unable to articulate or control their feelings in that situation. This is something that would most likely not have been considered at the time of the concession seats being allocated. Having taken the time to feed this back to the member of staff I was offered an alternate seat. I also hope that this helped them see from the perspective of those on the Autism Spectrum and will inform the allocation of concession seating in the future. I was also advised that the next time I booked I should do so by telephone so that the Box Office were able to offer me more suitable seats as I had wrongly assumed that the concession was immoveable and so booked online from what was available. Even I still have things to learn when navigating around the world of Access bookings. 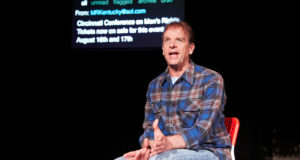 In some theatres Relaxed performances are now offered – these are performances that are carefully adapted in terms of lighting, sound and overall experience inside the theatre to accommodate customers who can become overwhelmed by the experience of attending a performance, for example people on the Autism Spectrum – all customers are welcome to attend Relaxed performances, but the experience will differ from a ‘normal’ one. At a Relaxed performance the house lights will generally stay on at a low level, loud sounds are often removed or toned down, customers can exit and enter the auditorium as necessary and a ‘quiet’ space is provided for customers who need to take a break from what is happening around them. They are often planned with the help of The National Autistic Society to ensure the best possible experience is provided. 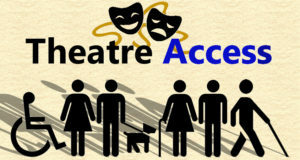 However this is not something that every theatre and every production is able to provide so awareness of how a production could affect those attending is something theatres should really be considering – particularly in terms of where Access seats are offered in relation to the exit, should a person need to leave quickly, and if there is any performer interaction with the audience as there was in my previous experience. So in summary, listen to the agent, tell them everything that might be relevant and this way you will hopefully get the best out of your theatre experience. We hope that over the course of these three articles we’ve given an insight into Access Customers, their needs and what theatres can offer. This is an area that is rapidly developing and more and more theatres are working on improving their service in this field. If you want to add anything, or ask any questions, please do drop us a line. If you work in the industry and feel you have something that’s worth adding, please let us know as well, we hope to do some follow up articles in due course. For now, thanks to Sidonie for her time and effort and honesty in writing these and we do hope they have been of help, or even of simple interest, to anyone reading. Sidonie has a BA in Theatre Studies, and an MA in Arts Administration and Cultural Policy. Describing theatre as her ‘home’ she is never happier than when she is wandering around a theatre. One of her first theatre memories is watching Victoria warm up before a performance of Cats in Blackpool in 1989 - in the eyes of a 5 year old, Victoria was 100% cat. Now, sadly, some of the magical way a child sees things has faded, but that doesn’t stop her enjoying as much theatre as she can. She is partial to a good musical and has a love for the integration of digital technologies into live performance. On the rare occasion she gets to go to Broadway Sidonie is a firm believer of go big or go home, with the 2014 record of 11 shows in 8 days not yet having been beaten – but there is always next time.